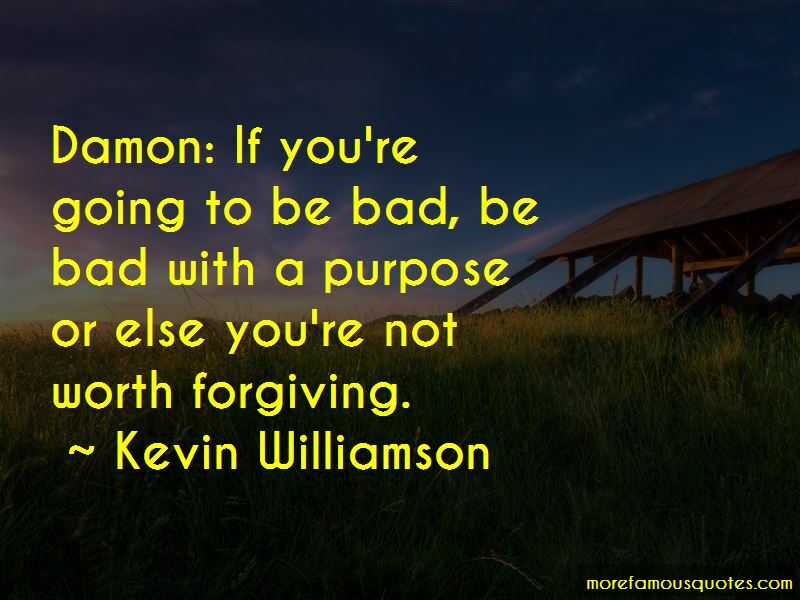 Enjoy the top 15 famous quotes, sayings and quotations by Kevin Williamson. They'll have to try like hell to catch me this time. They will try like hell. And even if they don't find you, what kind of way is that to live? You'll always be alone, no one will ever be on your side, and you'll always live in danger of betrayal. I live that way now. But you can't just turn your back on all your responsibilities and run away from them, Major Danby insisted. It's such a negative mood. It's escapist. Yossarian laughed with buoyant scorn and shook his head. I'm not running away from my responsibilities. I'm running to them. There's nothing negative about running away to save my life. Hetson: As I said in class, a lot of critics find that moment too sentimental. An author ham-fistedly reaching in and injecting an amoral tale with a moral. An embarrassing betrayal of all the dark comedy that came before it. But me? I've always kind of liked it. It has such a nice, hopeful ring to it. Do you see my point? 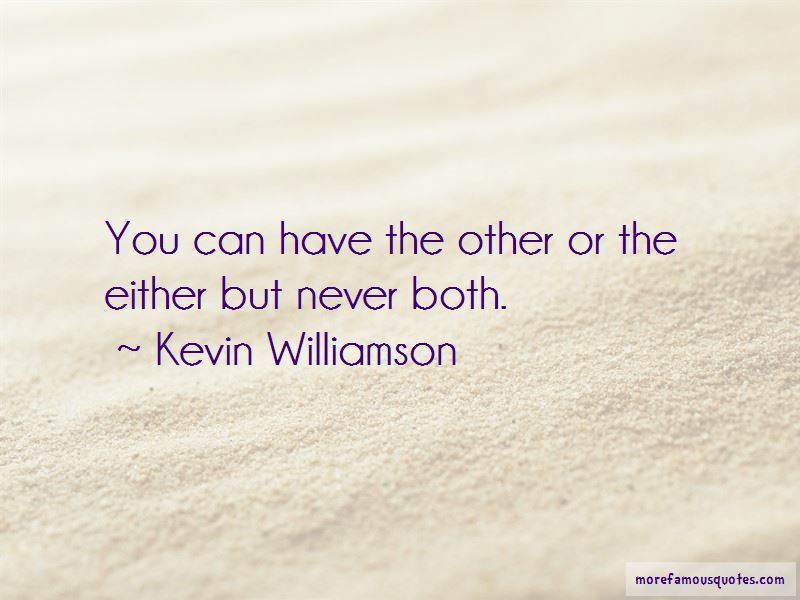 Want to see more pictures of Kevin Williamson quotes? 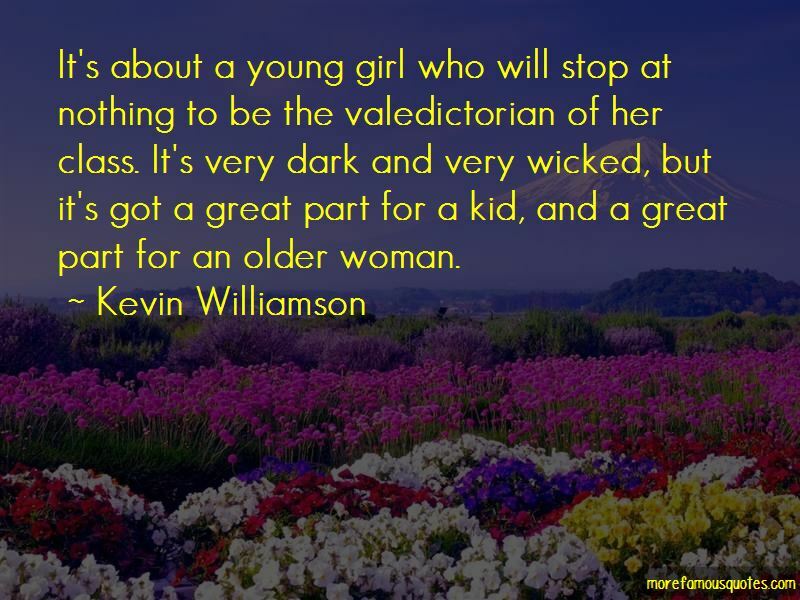 Click on image of Kevin Williamson quotes to view full size.